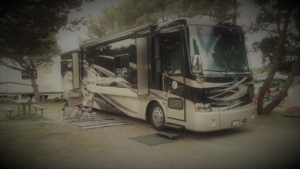 RV Insurance Agency Santee, CA - True Pro Insurance Center, Inc.
RV insurance can protect your motorhome, travel trailer, camper and even your horse trailer when traveling in and out of California. Here at True Pro Insurance Center, Inc., let us help you select the right coverage for your RV needs and get a great price at the same time. Call us today at 619-820-0036 to get your free insurance quote. You can purchase RV Insurance in California for personal or recreational use. This can be insured for usage up to 250 days per year. This gives you plenty of time to travel south and enjoy some warmer winter weather or that extended vacation. Discounts can lower your premium. Ask us at True Pro Insurance Center, Inc. whether you qualify for safe driver discounts, original owner discounts, package discounts and more. True Pro Insurance Center, Inc. is independently owned and locally operated to handle your insurance needs. We focus on insurance in Santee, CA but offer affordable and reliable insurance choices all across California. Call for a quote today at 619-820-0036.